These practical essays offer hope to those who believe they must suffer silently and alone. 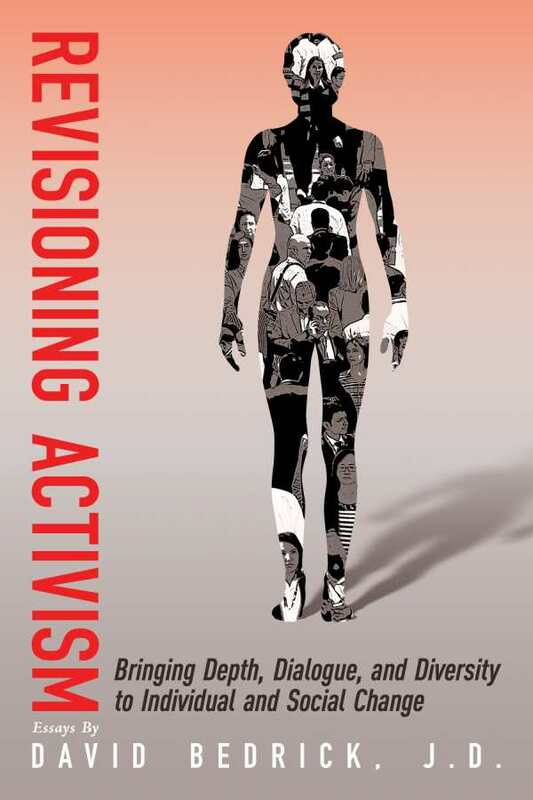 David Bedrick’s Revisioning Activism seeks to right individual and social wrongs through writing. This wide-ranging collection examines topics like racism, weight loss, and women’s self-esteem, as well as current events, and how process psychology can be applied within individual lives. Bedrick practiced law for a decade before becoming a psychologist. Here, he admirably relates his experiences as a process-oriented psychologist, connecting emotional problems to their internal and external roots. His legal training is evident, too, in several essays that examine traumas endured by African Americans and Native Americans. He claims that no illness is solely rooted in the individual; family, cultural, ethnic heritage, and gender contexts must be considered, too. Essays take on big and diverse topics. According to the author, the legacy of slavery perpetuates the fallacy of African-American inferiority, and related misguided self-perception that can be treated only when their historical assumptions are properly considered. Two fascinating essays also examine the death of Philip Seymour Hoffman against the backdrop of an addiction culture, and the suicide of Robin Williams related to social views of depression. Several essays resonate in the context of the 2016 presidential race, while others investigate why diets fail for most women and how permanent weight loss results when food is no longer a substitute for the hard work of finding a path to a meaningful life. One of the most illuminating essays contains advice of not being too hasty to forgive, as rushing could lead to harmfully suppressing anger, delaying or preventing healing. The last section shows applied process psychology in action, including a look at stress and its often ignored implications, and concludes with a moving account of people sorting out their past and present relationships with loved ones who are in the final stages of Alzheimer’s. General readers will find comfort in these practical essays that offer hope for those who believe they must suffer silently and alone, while therapists will have their methodologies reaffirmed or challenged.